Despite Rami Malek and Christian Slater earning nods, last year's winner for Best Drama Series is already out of the race. “Mr. Robot” – Last year’s winner was shut out of the Best Drama Series race in favor of hot new favorites like “Stranger Things” and “Westworld.” We may never get over “This Is Us” getting voted in before Sam Esmail’s mind-bender, but at least stars Rami Malek and Christian Slater were still recognized for Season 2. “House of Cards” – Kevin Spacey, Robin Wright, and the Netflix drama as a whole were shut out of the Globes this year, in Beau Willimon’s last shot at gold. Anthony Hopkins, “Westworld” and “The Dresser” – Starz’s first original movie nabbed a surprise nomination, but Hopkins couldn’t break through despite being up for two well-liked TV entries. Kiefer Sutherland, “Designated Survivor” – The Golden Globe winner and six-time nominee for “24” couldn’t get the same voters to buy into his new ABC drama. Taraji P. Henson, “Empire” – Last year’s winner for Best Actress in a Drama Series didn’t even make the short list in 2017, as the HFPA’s preference for new blood pushed out past favorites. Millie Bobby Brown, “Stranger Things” – This summer’s biggest hit snagged two nods (Winona Ryder and Best Drama Series), but its lovable bald breakout was denied entry to the Supporting Actress race. Fans can mail Eggo waffles to the HFPA in protest. Eva Green, “Penny Dreadful” – A nominee last year who arguably gave a stronger performance in the Showtime series’ final year, Green was boxed out of a competitive field. But hey, at least they nominated her once (unlike the Emmys). Lily Tomlin, “Grace and Frankie” – Despite six nominees cramming into five slots in the Best Actress in a Comedy Series field, last year’s nominee from “Grace and Frankie” couldn’t find a chair at the table. We still love you, Frankie. Ben Mendelsohn, “Bloodline” – A nominee last year and a winner at the 2016 Emmys, Mendelsohn also had his role in “Rogue One” going for him (the HFPA likes to invite topical talent whenever they get the chance). Yet Mendelsohn still couldn’t make the cut. His Emmy (and “Star Wars” checks) should be some comfort. “Divorce” – The freshman HBO comedy is filled with enticing talent, earned high marks from critics, and features HFPA favorite Sarah Jessica Parker as its centerpiece. She’s won four times and earned nine total nominations (including this year’s), but the voters didn’t want to marry into the black comedy beyond its star. 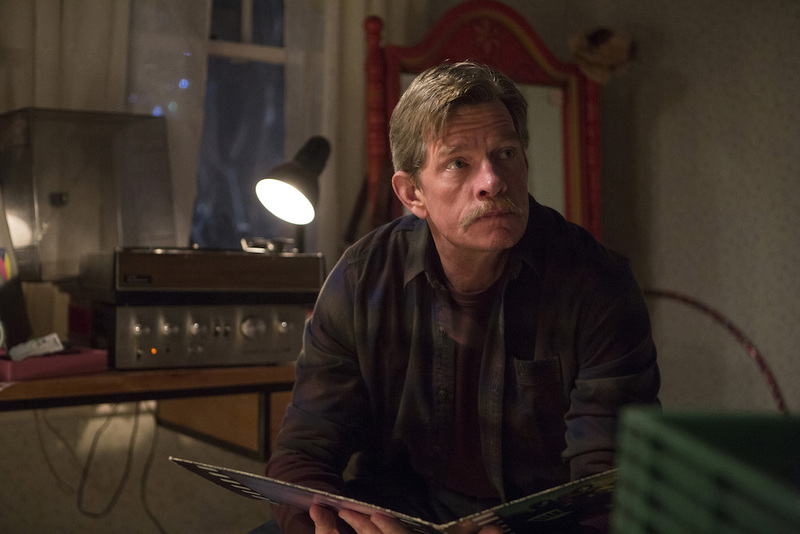 “Casual” – A nominee for Best Comedy and nothing else in Season 1, the Hulu original series may have had an uphill battle heading into this year’s race. Even though Season 2 was better than the first, the show hasn’t earned the kind of buzz the HFPA looks favorably upon. “The Get Down” – Between Baz Luhrmann’s first foray into TV and the second season of “Crazy Ex-Girlfriend,” we felt like the former had the best shot of any legit musical of scoring a nod in the Best Comedy or Musical category. A prominent filmmaker with an ambitious big budget musical seems like catnip for HFPA members, but the love-it-or-leave-it series was left behind. “Orange Is the New Black” – After two consecutive Best Comedy nominations, the third time was not the charm for Jenji Kohan’s beloved drama/comedy hybrid. The Netflix awards darling was slighted at the Emmys this year, too (with only one nomination), which raises the question if its time in the sun is coming to a close. Pamela Adlon, “Better Things” – The HFPA never really sparked for “Louie,” so expecting them to honor its spiritual successor — in tone, if not topic — may have been a stretch. But they did nominate Louis C.K. for his performance (twice), so we had the slightest hope they’d recognize a (stronger) turn from Adlon. No such luck. “All the Way” – Bryan Cranston made his way into the race for his Tony Award-winning turn as LBJ, but the HBO film got beat out by…Starz? “The Dresser” was not what was predicted to end this film’s run. “Gilmore Girls: A Year in the Life” – The original series only earned one nomination (for Lauren Graham) in its seven seasons, so it’s not overly shocking the revival miniseries got blanked. Still, it’s a buzzy show with a lot of good reviews, and fans certainly would’ve tuned in to see their favorite mother/daughter acting combo walk the red carpet. “The Dresser” – It looks like the HFPA is a fan of the theater! Despite getting looked over at the Emmys (and most other award shows), the Golden Globes took a shining to Starz’s first original film…if not its actors, which basically make the movie. “This Is Us” – We begged them not to do it, but they did. “This Is Us,” the twist-heavy NBC drama that has been the broadcast breakout of the fall, scored nods for stars Christy Metz and Mandy Moore as well as Best Drama Series. Watch out. This one looks like a player. Matthew Rhys, “The Americans” – Despite heading into 2016 without an Emmy or Golden Globe nomination — after three seasons of sterling work — Rhys ended the year with nominations in each. All we can say is it’s about damn time (and hooray!). 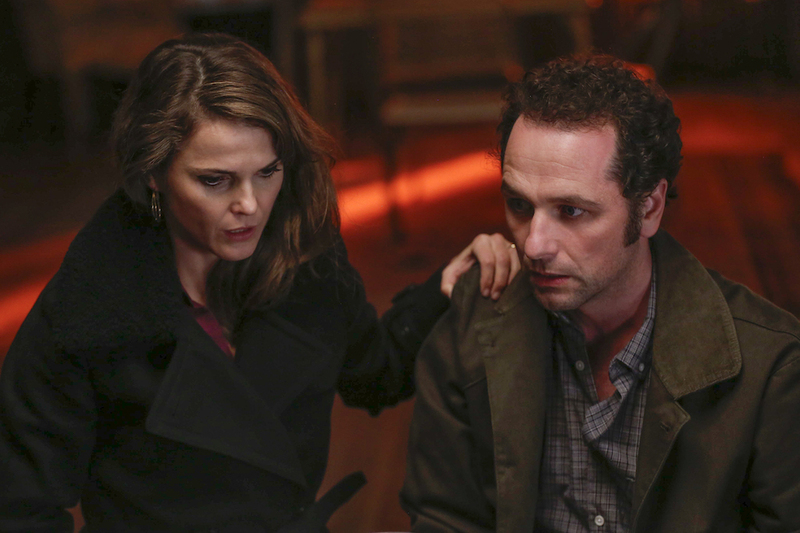 Keri Russell, “The Americans” – Ditto! Russell also broke through big time this year, but we didn’t want to lump the two together (despite being the hot couple on the awards circuit) because they both deserve the spotlight so, so much — especially after being denied it so long. Charlotte Rampling, “London Spy” – The Golden Globes are always ready to surprise us, and when they single out a terrific performance like this, we’re all for it. “London Spy” will be the show most viewers ask, “What’s that?” but Rampling more than deserves the love. Billy Bob Thornton, “Goliath” – People weren’t sure how well the Amazon drama connected, but it seems to have won over the key contingent of HFPA voters. Thornton is a big name, so this isn’t too surprising, but his name has to be mentioned given the stiff competition.